Mario has been a staple of Nintendo systems for many generations. His first outing rocked the arcade market. When he made his debut appearance on the console scene, he almost single-handedly led Nintendo, and, indeed, the entire video game industry, through the Video Game Crash of 1983. When the Nintendo 64 was released, Mario was one of the brands that led the way into the third dimension. Recently, for his first outing on the 3DS, he proved that the system’s auto-stereoscopic visuals were more than just a fancy gimmick. When it came time for Mario to step onto Nintendo’s current home console, the Wii, one might wonder what was left for this prolific plumber to do; where could he go that he hasn’t already been? The answer: outer space. Thus, Super Mario Galaxy was born, sending Mario and company through the atmosphere and into the stars. To boldly go where no plumber has gone before! Just like any good Super Mario game, Galaxy starts off with Princess Peach being expectedly kidnapped by Bowser. Mario tries to rescue his traditional damsel-in-distress, but the attempt ends in failure when our intrepid hero is knocked into the vacuum of space. All seems lost until Mario is rescued by a mysterious woman who has long dwelt in the celestial plane. 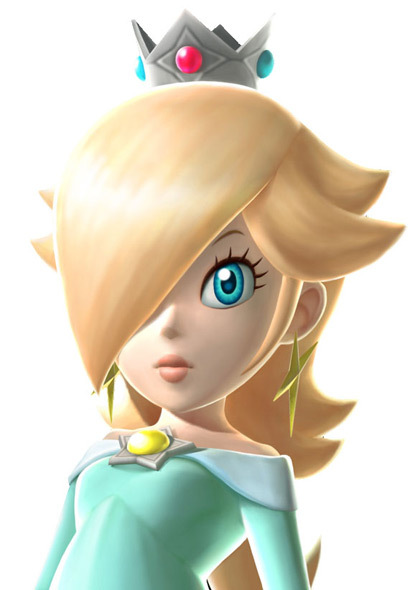 This stellar explorer, Rosalina, tasks Mario with finding the Power Stars that were stolen from her space observatory by Bowser and scattered across the Galaxy. 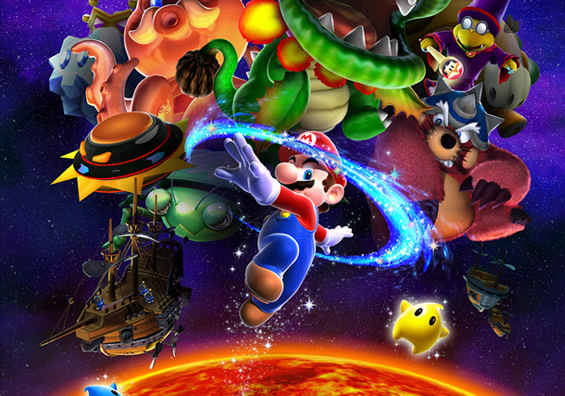 Unlike most Mario games, Galaxy actually features a comparatively in-depth plot. It is nowhere near Fire Emblem standards, but it is present nonetheless. It mostly revolves around Rosalina, and explains the origins of this mysterious space-farer. The ending is especially poignant. I would not want to spoil it for those who have yet to see it. Let it suffice to say that no one would have expected something of this caliber from a series so simplistic as Mario. Behind that vacant expression is probably what is the deepest character to grace a Super Mario game. Galaxy‘s graphics look absolutely stunning. “It looks good for a Wii game” is a common saying for most Wii experiences. While several Wii games look very good, they still pale in comparison to their parallels on the PS3 and Xbox 360. This expression in no way applies to Galaxy, making it one of the few Wii games that would not undergo a remarkable upgrade if it were ported to an HD platform. Everything is very crisp and clean, from the models to the animation. The colors are vibrant and vivid. There are loads of impressive environmental effects, from shimmering water, to frigid ice, to boiling lava. The game looks stellar in every sense of the word. Super Mario Galaxy is a pretty game. Complimenting the surprisingly touching story and exquisite graphics comes an incredible score that sets the bar high for future Mario games. For the first time in a Super Mario game, the music is orchestrated and the bounds made from MIDI are noticeable. The expertly composed soundtrack adeptly captures the grand vastness and childlike wonder of being in space. It is a truly moving piece of work, one that captures the imagination and immerses the players in a way never before accomplished by any Mario game before or since. Galaxy still has its share of re-mixed tracks kept in MIDI format, but these only add to the whimsicality of the game and do not occur often enough to mar sense of wonderment created by the orchestrated pieces. 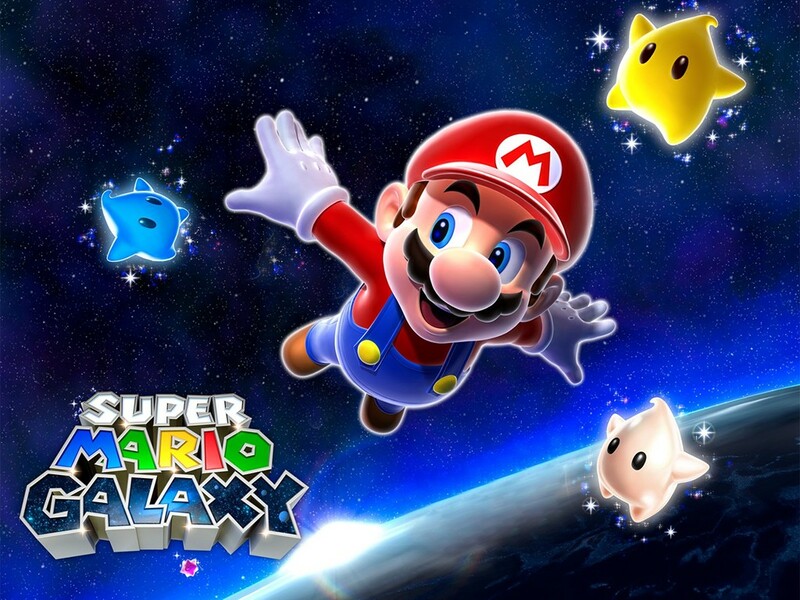 Though the plot and aesthetics are drastically improved, Galaxy is still a Mario game at its core, and that means players can expect some fine-tuned gameplay. The controls are tight and the game offers quite the challenge, making for a balanced experience all the way through. Galaxy‘s hub world is also something to behold. It is not overly complicated, but is simply a pleasure to walk around in, listening the ballroom waltz music playing in the background. As can be expected of a game titled Galaxy, the gameplay has a lot to do with space. Planet-hopping, warp-speed flying, and dizzying gravity shifts are all standard fare for Mario’s interstellar adventure. Even better, all these elements fit together extremely well. Every planetoid has a unique feel and offers a new challenge to be overcome. Whether players are skating over an ice ring, climbing on walls of sticky honey as a bee, or scurrying across a planet shaped like Yoshi’s head, nothing feels out of place and fits together perfectly with the rest of the game. A multiplayer element is also employed in Galaxy, although it does not add much to the experience aside from the opportunity to share it with another person. The second player does not do very much, being regulated to picking up star bits and freezing smaller enemies in their tracks. It is a nice touch, but the game is by no means ruined by its absence. Super Mario Galaxy is one of the Wii’s finest games, if not one of the finest games ever made, period. It has all the makings of a classic: a touching story, timeless visuals, engrossing music, and perfectly balanced gameplay. It is a paragon of 3D platforming, once again setting the standard for the genre. 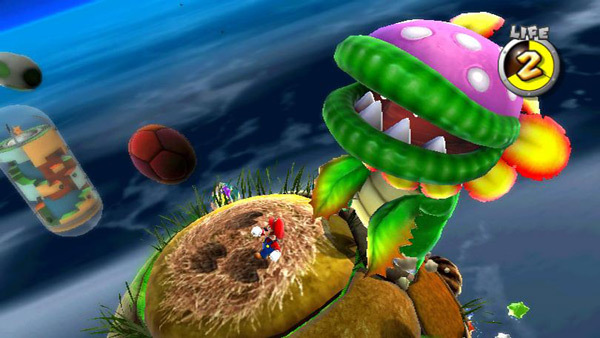 Unfortunately, Super Mario Galaxy set a standard for its own series that has yet to be matched. Aside from Super Mario Galaxy 2, which is far too close to its predecessor to be considered separate, no Mario game since has come close to matching this game’s caliber. No game since has made such a serious effort in storytelling or used orchestrated music as poignantly. To be fair, these subsequent games have leant more towards being nostalgic throwbacks than innovative masterpieces, but Super Mario Wii U certainly has lofty shoes to fill if ever Super Mario Galaxy is to be dethroned. 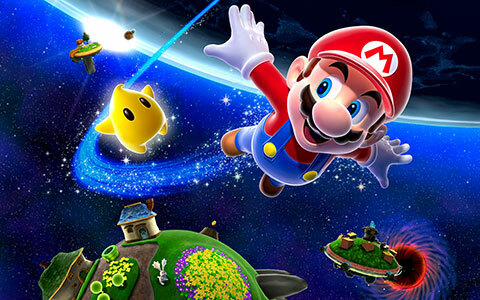 That said, Super Mario Galaxy is a must-have game; a work of art that should be experienced by everyone. Get ready for an intergalactic adventure of epic proportions.